Italy is one of the most productive cheese regions of the world, rivaling countries like France, Germany and even the USA. What makes Italian cheese an exquisite part of the culinary experience is how the tradition and artistry of Italian cheese-making have produced such amazing flavors that make them complement so many dishes. 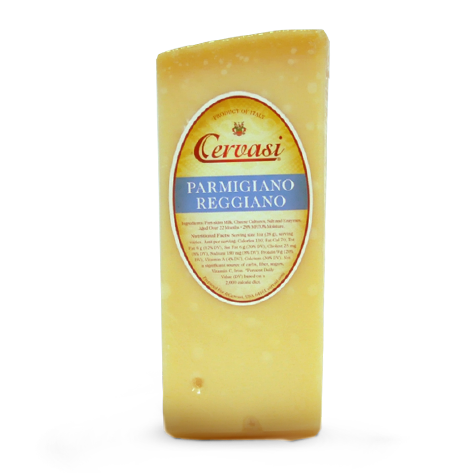 All Cervasi Italian cheeses are authentically produced in the time-honored tradition of Italian cheese-makers. We work with only the finest master cheesemakers, sourcing and selecting only those products that meet our standard for flavor, texture and finish. 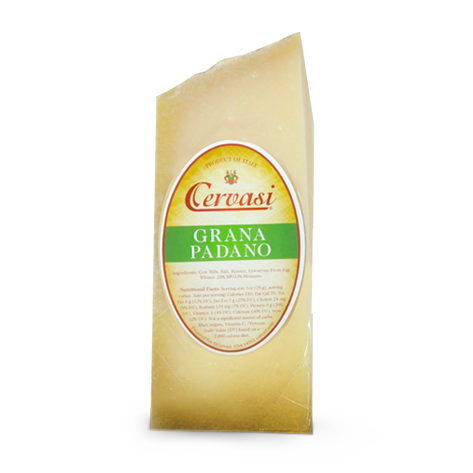 Cervasi Grana Padano is a sweet and savory cheese with a delicate, light and fruity characteristic that is ideal for grating over pasta and risotto. The name Grana was bestowed upon the cheese because of its grainy consistency. 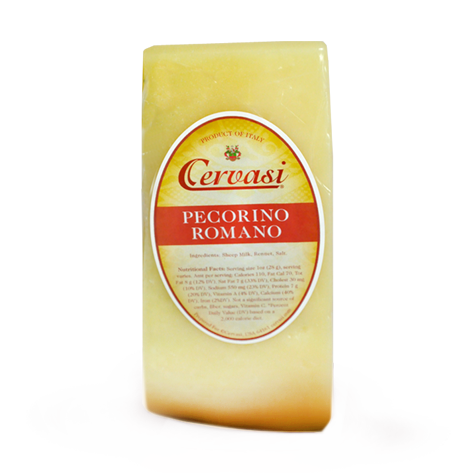 The taste of Cervasi Pecorino Romano is aromatic and pleasantly sharp. The piquancy depends on the period of maturation. Romano cheese is typically straw-white in color and has a very sharp flavor. Grana Padano: Cow Milk, Salt, Rennet, Lysozyme From Egg Whites. 28% MF/33% Moisture. 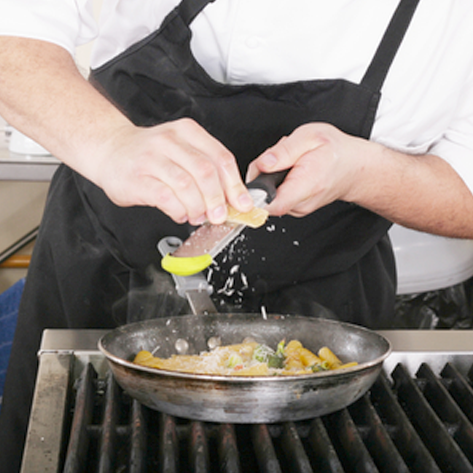 Parmigiano Reggiano: Part-skim Milk, Cheese Cultures, Salt and Enzymes. 28% MF/33% Moisture. Pecorino Romano: Sheep Milk, Rennet, and Salt. Typically available in random weight wedges.